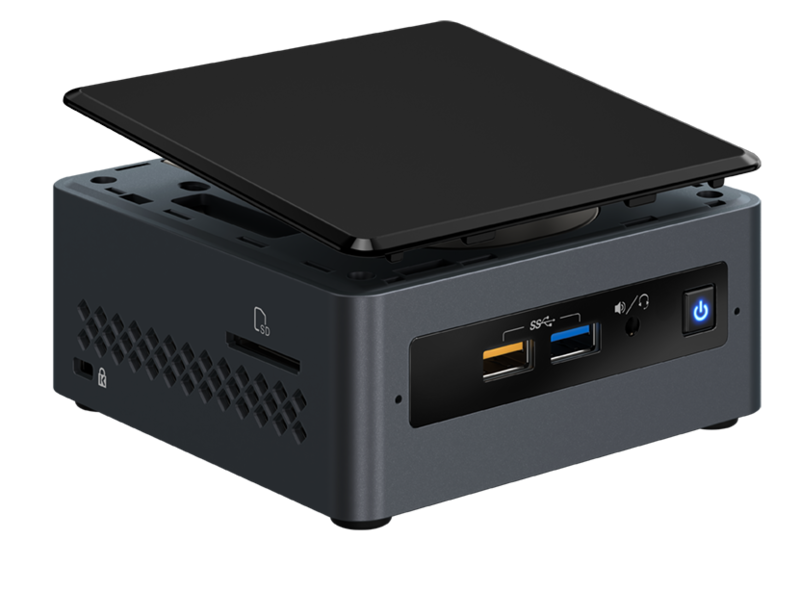 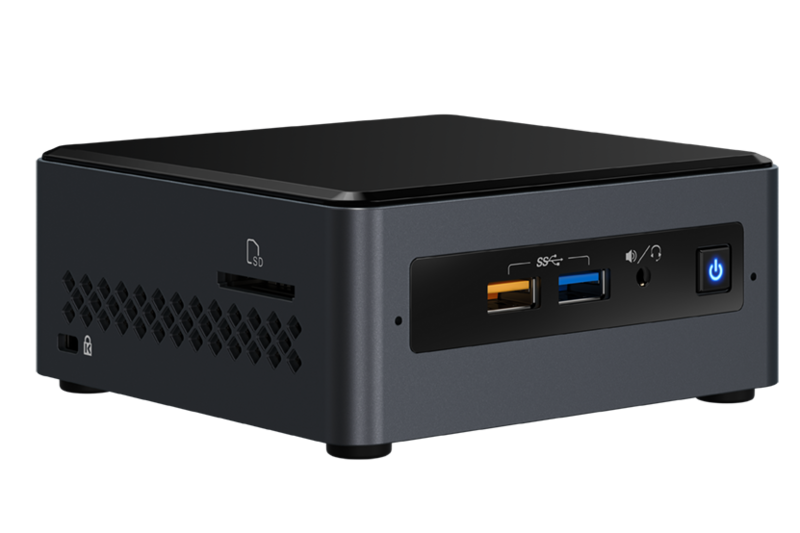 With the Dual Core Intel® Celeron® J4005 processor, featuring Intel® UHD 600 graphics and support up to 8 GB of high speed DDR4 RAM at an extremely affordable price, the NUC7CJYH provides ample bang for your buck. 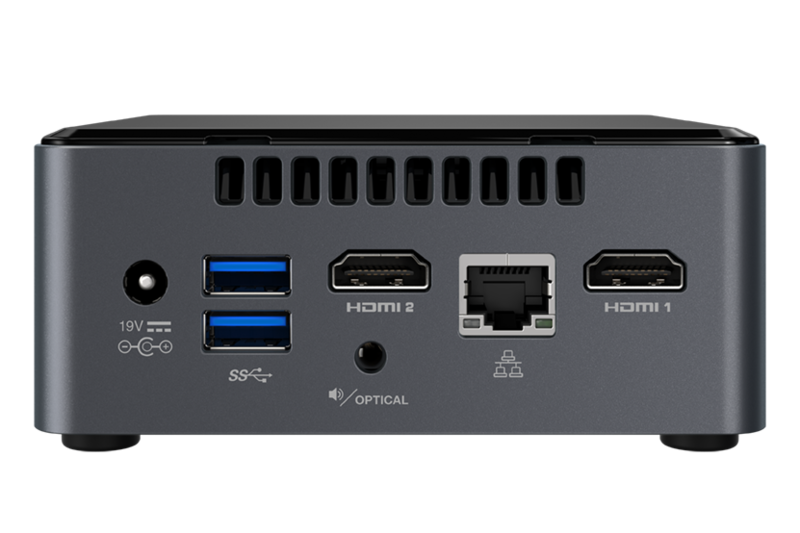 Enjoy video display at resolutions up to 4096×2160 sharp, clear pixels when you watch or stream 4K video at 60 Hz over the two HDMI 2.0a ports without the hassle of a bulky, noisy chassis. 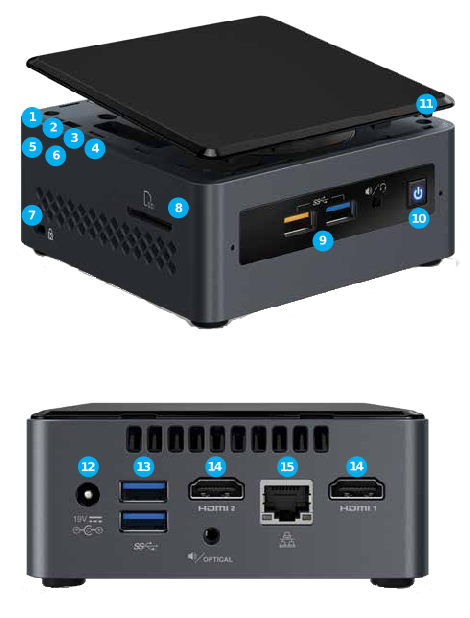 Plug your favorite peripherals into the two USB 3.0 ports on the back and one USB 3.0 port on the front and still have room to charge your drained phones, tablets, and other hand-held devices with the remaining front-facing, quick charging USB 3.0 port. 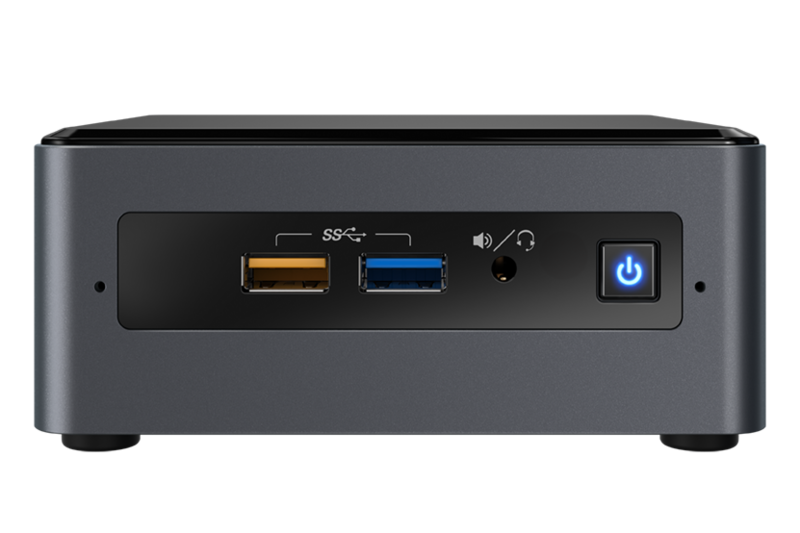 At 2.1 amps, your devices will be back to 100% in no time!